The @Oatmeal Launches Campaign to Make Tesla’s Wardenclyffe Lab into a Science Museum « Adafruit Industries – Makers, hackers, artists, designers and engineers! Matthew Inman, author of the popular Oatmeal online comic, has launched an IndieGogo campaign to turn the former Nikola Tesla property in Shoreham, Long Island, New York, — ‘Wardenclyffe‘ — into a Tesla museum. The property was previously owned by Agfa. Currently, there are two bidders for the property: the Tesla Science Center at Wardenclyffe, which seeks to create the aforementioned museum, and a private developer who wants to put retail and housing units on the property. Retail units? Are you kidding me? I blogged about this situation back in 2010, and I made my own opinion clear: I want to see a hackerspace/makerspace at Wardenclyffe. 2 years later, I still feel the same way. However, I consider the integration of makerspaces and science museums to be a forgone conclusion at this point, so I’ll just say I’d love to see a science museum (with makerspace) at Wardenclyffe. Take a moment to check out Inman’s Indiegogo page, and please consider sponsoring. I wonder if this could be a candidate for crowdfunding? Of course, you’d really like to rebuild the awesome tower Tesla was working on. Do you think that Shoreham has the sort of population density needed to support either a Hackerspace OR a science museum? I mean, as a science-mad youth living in Huntington (also on Long Island), we made it to a couple of the Brookhaven lab open houses, but that was pushing it. And the original Techshop, in Menlo Park, CA is sorta midway between SF and SJ, and is in danger of being shut down in favor of those more populous locations. 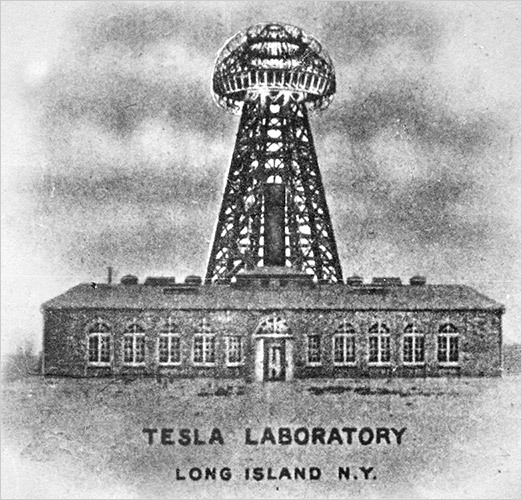 Even given some funding, would you give up the urbanity of NYC and relocate Adafruit to rural Long Island in order to (help) curate/run "The Tesla Museum and Hackerspace"?